The University of Montana received a five-year grant this week that will help continue to fund a partner program dedicated to educating students about air pollution and scientific research. The $1.2 million Science Education Partnership Award was given to UM’s School of Public and Community Health Sciences within the College of Health Professions and Biomedical Sciences. UM received the award from the National Institute of General Medical Sciences of the National Institutes of Health, and will help buy air samplers for the Clean Air and Healthy Homes Program for participating middle and high schools in Montana, Idaho and Alaska. The program, which has fostered student interests in science for 15 years, targets about 30 schools and 5,000 students in rural and underserved areas. Students will conduct their own air pollution research within their classrooms and homes. Students receive an air sampler that can be used to measure air pollution particulates. Radon, carbon monoxide, smoke and other pollutants can be measured and easily read on a screen. Household activities like vacuuming and even using a microwave produce a certain amount of particles. After measuring pollutants for about a year, students can then present their findings to an audience either in their schools – or to surrounding universities with travel expenses paid for by the program. Particulates in the air can be too small to smell or see, and many individuals are exposed to matter that could be harmful and increase their risk of developing respiratory problems, lung cancer, cardiovascular issues and heart disease. In addition to studying pollution, the curriculum is designed for teachers to educate students on the risks involved in breathing pollution, what to do about it, and how it affects the cardiovascular and respiratory systems in the body. Some students have found high levels of particulates in the school’s air that the students and staff breathe, resulting in certain safety adjustments. Superior High School found high levels of radon in the air, prompting administrators to install a radon mitigation system. A woodshop class at Corvallis High School also installed a ventilation system due to the heavy particulate in the air from class projects. 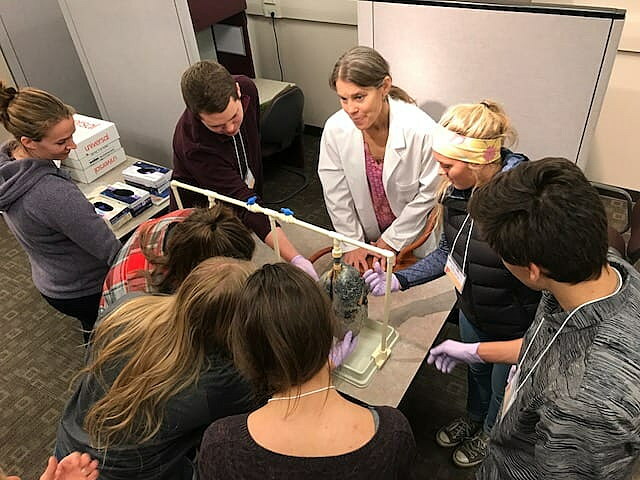 In collaboration with the International Heart Institute, St. Patrick Hospital and the University of Montana Health & Medicine initiative, students from Sentinel, Hellgate, Big Sky and other high schools are able to job shadow employees in research and biomedical science. With the renewed funding, a few new things are changing within the program. Students will be able to conduct research with personal breathing zone samplers, or wearable samplers that will test the air they breathe 24 hours a day. 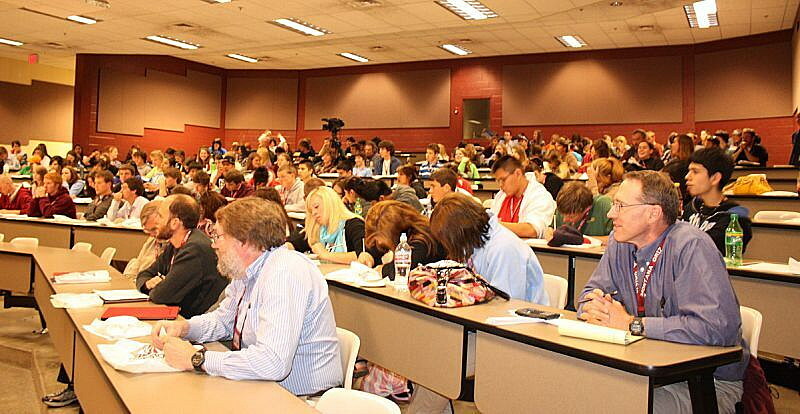 Schools will also experiment with different forms of effectively communicating students’ findings, either through school presentations, traveling to universities or through a science fair. With five more years of funding, Ward knows that more students will be able to learn more about the air and the science around them.